To perform a sale that is not attached to an appointment is very easy. 2. 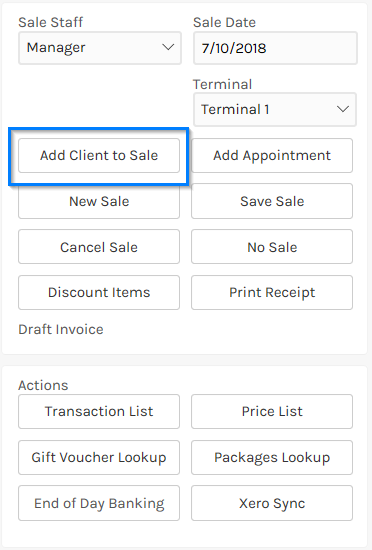 If you wish the sale to be associated with a client then click on the Add Client to Sale button on the sales screen menu and add the client. 3. Add Products or Services to the sale as you would for any other sale. 4. Click Complete Sale button to finish.